For a comic book character, it’s a pretty clear tale: teenage nerd gets bitten by radioactive spider, his uncle gets killed, he realizes he could have prevented it, learns a valuable lesson, and becomes a super hero. Spider-Man’s origin story is one of the best; simply evoking the complex emotions that drive a kid to become a defender of the innocent. And, since the 1960s, Spider-Man has effectively been the face of a new, popular breed of comic character. 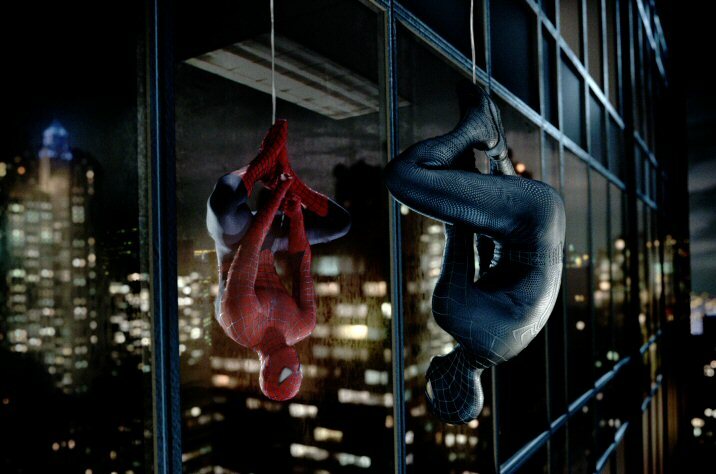 Now, exactly 50 years later, we have our Spider-Man movie. Given the number of other comic book based movies released these days, it was really only a matter of time before Marvel’s beloved flagship character got his chance to shine on the big screen. This one stars up-and-coming actor Andrew Garfield (his major break out role after some great turns in The Social Network and Boy A), who brings an odd, goofy charm to the role. Rather than play Parker as a shy nerd, Garfield gives him a host of great tics and a unique cadence that proves comically endearing. With Emma Stone (who can’t help but glow), Rhys Ifans (who does what he can with admittedly the weakest character in the film), and the immortal trio of Denis Leary, Martin Sheen and Sally Field, the entire film’s casting is really solid. Wait, how many Spider-Men are there? Wait.. ummm… I was just checking imdb.com. Did you guys.. umm.. did you guys know that they already made a Spider-Man movie? Wow. They already made three of them?! And the last one came out only five years ago?!?! Why so soon then? Didn’t anyone think it may make this film seem irrelevant and unnecessary? Even if wholly original, weren’t they worried that it wouldn’t be judged by its own merits? Wait.. who is this ‘they’ anyway? OK, I just checked this out. 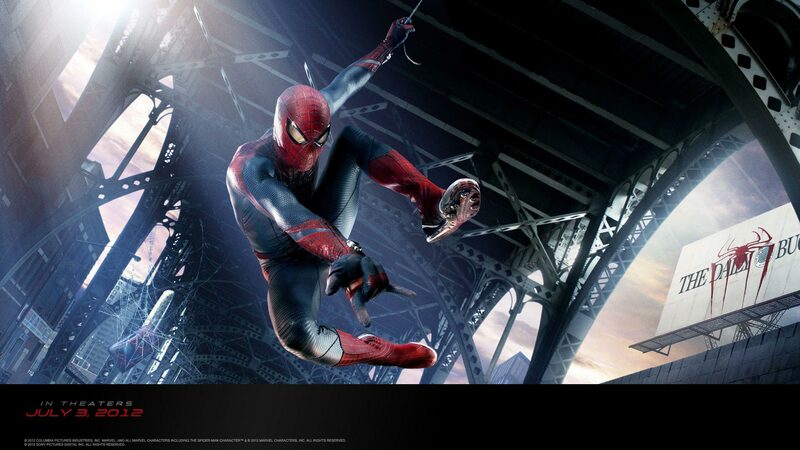 It turns out Sony Pictures is actually in charge and ‘they’ made the new film to keep the Spider-Man rights from reverting back to Marvel’s control. But it couldn’t be so blatant a cash grab, could it? No, I refuse to be swayed by such cynicism! They still went the extra mile to craft a unique and exciting experience. Ok, Ok, I’m sure the origin story shown in both movies is similar, with Parker getting bitten by an irradiated spider, learning responsibility through the death of his Uncle Ben, and embracing his heroic destiny. But, come on, before that we get some great scenes with Parker as he discovers his powers, gains confidence, and shows up the bully, Flash Thompson, at school. I mean, there is no way the original movies could top that right? And just look at the new villain the Lizard. He may be only a passably written character but he is still nothing like the Green Goblin character from this old 2002 movie. He is Dr. Curt Connors, a respectable scientist working for Oscorp, working against the clock to appease his corporate masters. Totally not like the Green Goblin and the old Norman Osborn character. In fact, Osborn is mentioned in this new Spider-Man movie, and he’s just some dying guy we don’t even get to see! Who cares, right? Then there is another clever twist as the action picks up, as Spider-Man, despite his desire to do good, is portrayed as a danger to society! There is even a character of authority, Chief Stacy (Leary) who publicly lambasts Spider-Man in the media, calling him a vigilante and a menace. And how about the part later on when, despite Spidey’s media portrayal, we see the citizens of New York City (the very people Spidey saved earlier in the movie!) banding together to gratefully help out. What a touching, unprecedented moment. Of course, Parker needs all the help he can get as Dr. Connors, a misunderstood genius, lashes out at innocent people after injecting himself with an untested chemical formula. I bet those original Spider-Man movies never thought of something like that. I mean, this Sam Raimi guy may know his way around a horror movie, but he certainly doesn’t know action and romance. You know what, I bet that first Spider-Man movie doesn’t even have a great iconic first kiss like this new one does. Right?